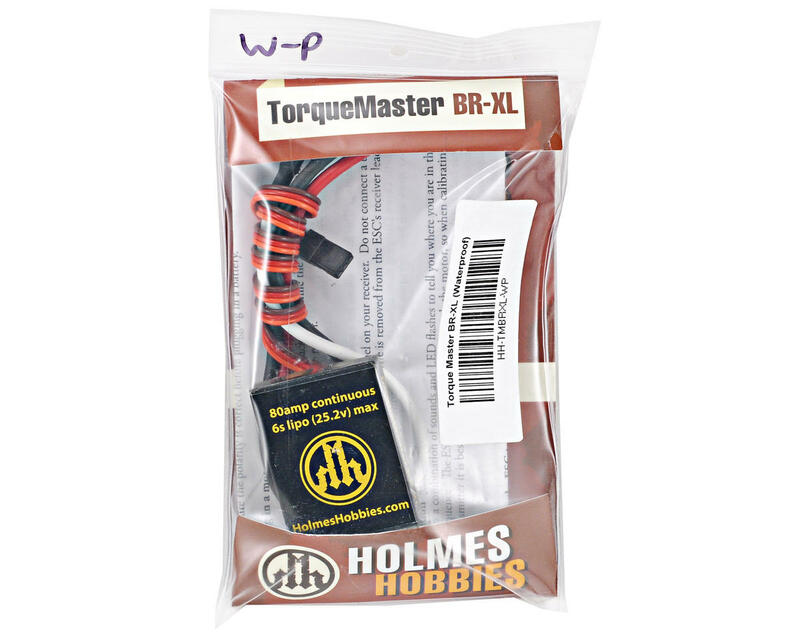 This is the Holmes Hobbies Waterproof TorqueMaster BR-XL Brushed ESC. Designed and manufactured in the U.S.A., the TorqueMaster BR-XL is the hottest brushed motor ESC for rock crawling applications. With a 80 amp continuous rating and a huge input voltage rating of 28.8V, this ESC has been designed from the ground up to meet the rigorous demands of low speed control and high speed power giving even the most power hungry drivers what they want. 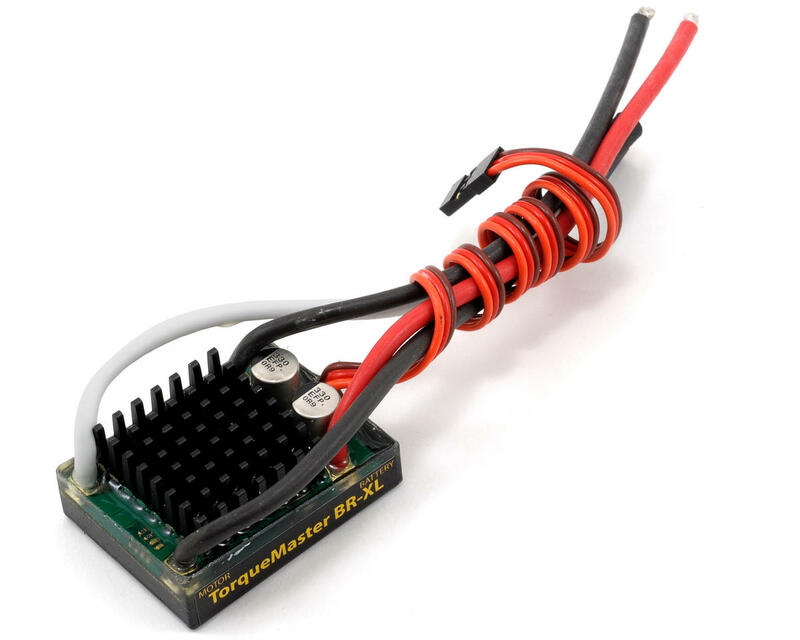 A 5 amp, 6 volt on board switchmode BEC delivers unbelievable servo power at any input voltage. The TorqueMaster arrives factory programmed with auto lipo LVC, full drag brake, instant reverse, and 100% reverse throttle settings. These settings can be easily altered with stick programming, and are fully computer programmable via Castle Creations Castle Link with instant firmware upgrades. Computer programmable via Castle Creations Castle Link with instant firmware upgrades! I have two of these, one on my scaler & one on my crawler. This is the best brushed esc I have ever used. Super smooth with massive amounts of torque. Well set up out of the box. Highly recommended! Best drag brakes in the business. I ran the ESC for two easy, non-abusive hours before it completely died. Holmes Hobbies has had it for a month with very little communication or updates. Horrible customer service and substandard products. Very upset that declared The specifications do not match reality. When all assembled, it seemed very strange that when working servo drive hitec, the system reboots. Made measurements and horror of horrors, I was just in shock, in a place declared 6V 5A and have in fact 1A and 6V, 60A and only when powered by 2s lipo, how much it will be at Power steering 6s lipo??? 15-20A??? Did not expect that things cost $ 100 so be different characteristics.